As President Obama's executive order protecting LGBT workers takes effect today, his senior adviser Valerie Jarrett sees it as a civil rights milestone. 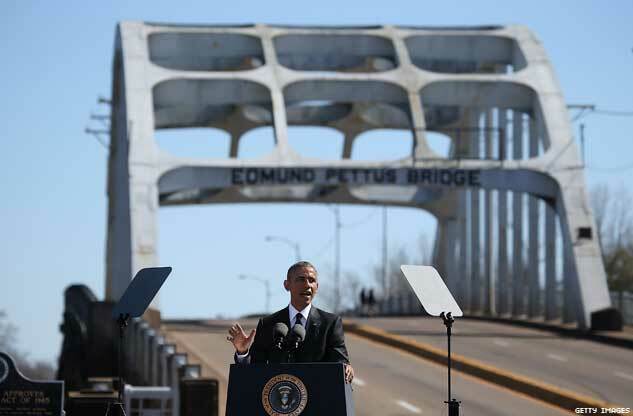 Last month I traveled with President Obama to Selma, Alabama, where he addressed an emotional crowd, and marched in the footsteps of the brave men, women and children who put themselves in harm’s way and sacrificed so much in their historic journey 50 years earlier. It was a day which highlighted both the progress we have made toward equality for all Americans, and the work that is left to be done. Today, we take another important step toward equality and fairness with our LGBT brothers and sisters. On July 21, 2014, President Obama signed an executive order to expand the protections of anti-discrimination to apply to the LGBT community with respect to companies who do business with the government. Today, this executive order becomes federal law. We’ve estimated that 1.5 million Americans will be protected in the workplace as a result of this executive order. The billions of taxpayer dollars that federal contractors and subcontractors receive to supply goods and services for government agencies will not be used to discriminate against people on the basis of sexual orientation or gender identity, in addition to race, color, religion, national origin, disability and veteran status, which are already protected. This will effectively prevent any company that does business with the government from firing an employee based on who they are or who they love. The journey toward a more perfect union involves all of us, as Americans. As a mother, I know that when someone’s child suffers, all of our children suffer. When a lesbian, gay, bisexual, or transgender American is denied fair treatment in the workplace, it should both offend and concern us all as to the sanctity of our collective rights as Americans. Because protecting our collective civil rights is at the core of who we are as Americans, and it is the responsibility of each of us to ensure we do what is needed to make possible a better future for our children and grandchildren. This is an effort which extends into communities from coast to coast, and includes people from all backgrounds. The president is determined to lead by example. He has hired more openly LGBT Americans to serve in his administration than any other in history. And we have closely examined our internal policies on everything from benefits, to restroom access, to how we invite people to events, to ensure that everyone who enters this building feels safe and fully respected. Today marks another important step forward in our collective journey toward justice and equality. This is progress which should only serve to feed our shared desire to continue moving forward toward the more perfect union we have each been charged to pursue. 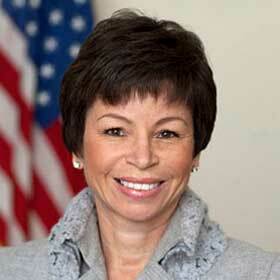 VALERIE JARRETT is Senior Adviser to President Barack Obama. Find her on Twitter at @vj44.